Description : A tale of a warrior. A tale of true love. 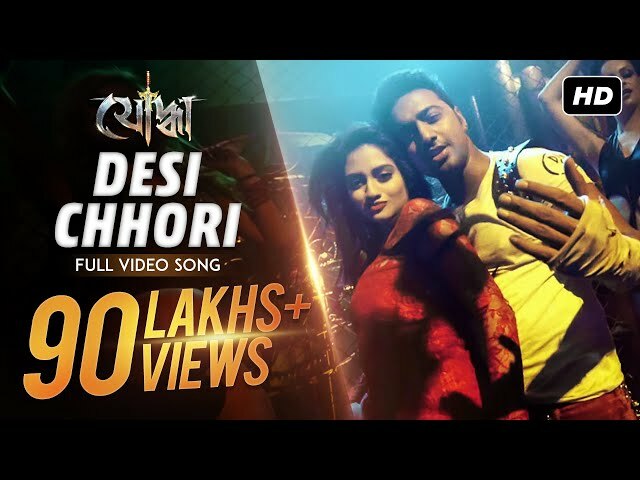 Here's presenting the peppy dance number Desi Chhori from Yoddha starring Dev and MImi. The song has been composed by Savvy and sung by Satrujit Dasgupta and Neha Kakkar. Starring : Dev, Mimi Chakraborty, Nigel, Rajatava Dutta & others. Singers : Satrujit Dasgupta & Neha Kakkar.